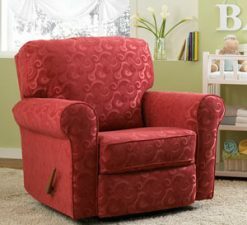 Recliners have become the trendy nursery seat, and Best Chairs’ Irvington recliner has paved the way. 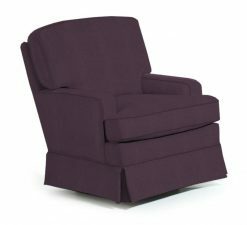 Famous for its unmistakable comfort, it features a large, heavily stuffed back using premium cushioning fibers and large rolled arms. 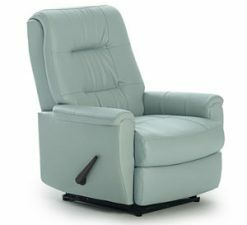 For additional comfort, this recliner features a swivel glider base. 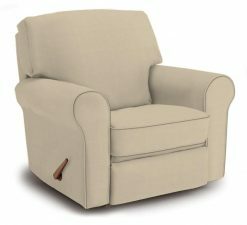 Be sure to check out the new power option that allows you to recline at the push of a button. No handle!